Here is more proof, which is there is so much to prove that the original Yosemite Native American Indians were not the Miwok as many claim. 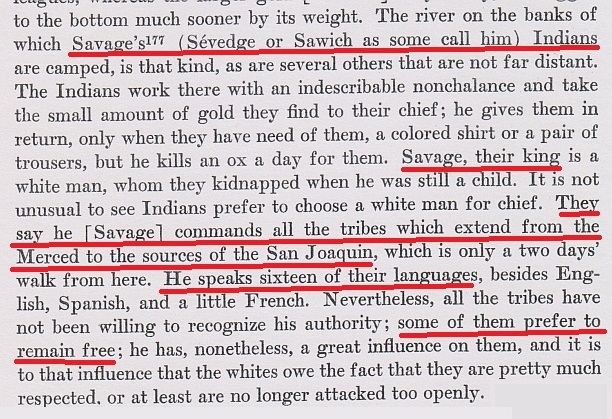 Note that Derbec, who knew Savage, wrote that Savage was the chief of the Indians between the Merced and the San Joaquin River....that would be the Miwoks who many claim are the original Yosemite Indians. 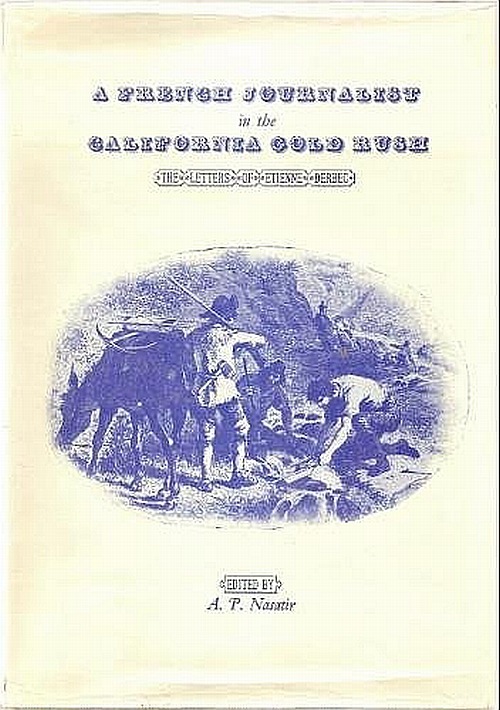 This is more proof of many that the Miwoks were NOT the original Indians of Yosemite. That was the Paiute people. Note also that Savage spoke Miwok, yet could not speak to Tenaya...NO ONE has explained if Tenaya was a Miwok...how come Tenaya and Savage could not understand each other. Savage said that Tenaya spoke a "Piute jargon". Note in the book, as we have always said, that the "Mariposa Indians", that is the Miwoks, were the workers for James Savage. 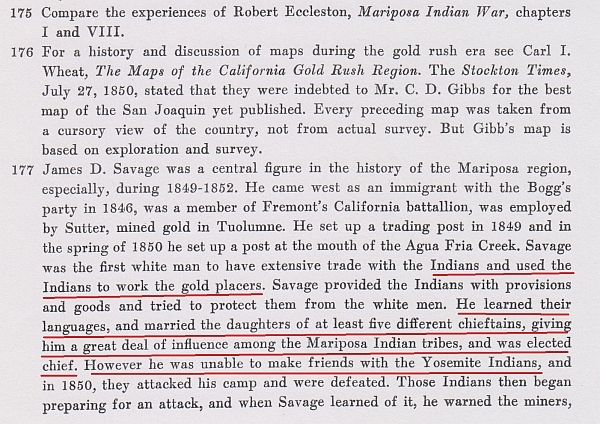 That Savage spoke their langauge, but not the language of the original Yosemite Indians, also that Savage had Miwok wives, and that the Yosemite Indians were his enemy. How much more proof do you have to post before people get a clue that the original Indians of Yosemite WERE NOT MIWOKS, but Paiutes. Miwoks were the workers and wives of James Savage and the scouts for the Mariposa Battalion. It is a DISGRACE that people would say that they were the original Indians of Yosemite when they were not. The early chief of the Miwoks was JAMES SAVAGE...the white king of the Mariposa (Miwok) Indians. Also how come Yosemite National Park's Indian ethnologist Craig D. Bates never saw this reference, but saw other ones?